Common knowledge holds that a cadence of 180 foot strikes per minute is optimal. To achieve this, your left and right feet each hit the ground 90 times in a minute. The rationale is that this cadence will help you maintain good form. Good form reduces the chance of injury. And running with good form for longer periods of time will help you get faster. There is no one size fits all cadence for every body. Everyone does have an optimal cadence based on their fitness and body. Find that sweet spot is what’s important, since not everyone will be able to reach 180 steps per minute. Stride length is the distance between each foot strike — left foot take off to right foot landing. Cadence is the number of times your feet hit the ground in a minute. If you keep the length fixed at a set distance, but increase the number of times you do that in a minute, you are faster. If you keep the number of steps per minute fixed, but increase the length of each stride, you are faster. Of course I am not saying that you are trying to get faster by adjusting your cadence. But I am saying that adjusting your cadence has implications on your actual speed. And effort. And that can make this change a bit more challenging than anticipated. Why Care About Your Cadence? It’s not the final arbiter of speed or performance. But it’s actually important for one reason. 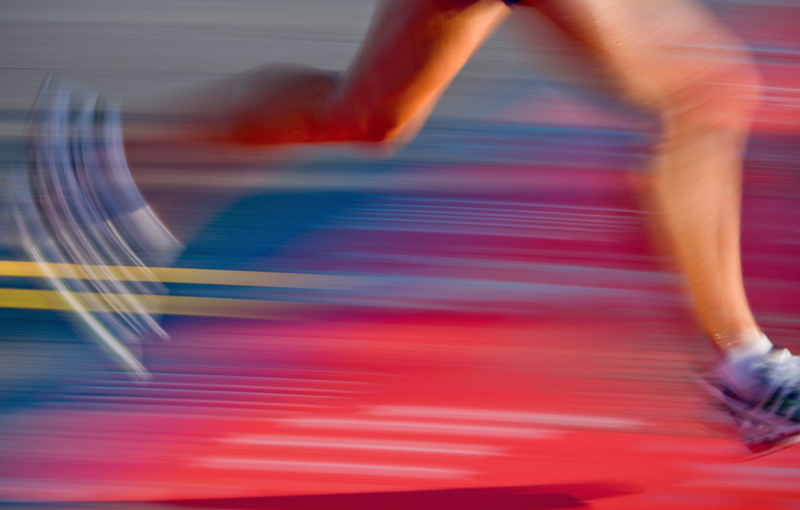 There are times in a run, or a race, where you want to improve your speed. “Run faster” isn’t always an option. But if you can focus on lifting your cadence, you will increase your speed. And if you see your cadence dropping in a long run or race, you’ll also know that your speed is faltering. Know your cadence. Master your cadence. Improve your performance. The best way to measure your cadence is in real time with a device. Older running watches had a footpod, such as this Garmin Footpod, that would pair with your watch. Newer set ups have an accelerometer in the Heart Rate Strap (or watch itself). These systems measure cadence by tracking the change in your torso or arm position as you run (like this one). If the technology isn’t in your future, you can count your steps against time on your watch. The counting interval is 15 seconds. As you are running, note the second time as you begin counting. Count only one foot. When you get to about 18, look again at your watch as you finish counting. When it gets to the 15-second mark, you’ll have your number. Multiply that number by 4 to get your single foot cadence per minute. Multiply that number by 2 to get your total cadence per minute. So if you cover 22 steps in 15 seconds, that’s 88 steps per one foot per minute. Or 176 steps overall per minute. Our Running Plans Now Online at Endurance Nation! Running Plans Less than $12/week! Before you go making a change, it’s important to know what your baseline is. Some folks are faster, some folks are slower…but few actually know their natural cadence. Here’s how you can do it. Plan to check on every run at the 10 minute mark and midpoint of your run. Average the two numbers per run. So at the end of each run, take #1 and #2, add them up and divide by 2. That’s your average cadence for that run. Write these down so you can review them at the end of the week. At the end of the week, you add up all your cadences and divide by the total number of runs. Example: If you have 8 runs this week, you will have eight separate cadence numbers. This looks like this: (21+20+20+22+19+21+23+22) / 8 That is 168 / 8. Or an average cadence of 21…which is 84 for a single foot and 168 per minute. Access Our Online Training Plans! All Hosted by our Partners at Endurance Nation! The first thing you’ll do is compare your average run cadence to 180 steps per minute. But that’s not always right. It’s also why we recommend you do this math AFTER you have measured for your baseline. This way you won’t subconsciously run at your desired target cadence. Your fitness and height also affect your cadence. Fitness-Wise…The slower a runner you are, the less likely you will be able to hit 180. If your average run pace is slower than a 9:30 minute mile, you will likely struggle to hit 180 (it’s a lot of steps). Height-Wise… The taller you are, the longer your natural stride length will be. Anyone taller than 6′ 2″ will have a challenge with hitting 180 steps per minute. How to Adjust? I suggest you subtract 5 steps. If you are out of shape, take five steps out for an initial target of 175. Then by height, take five steps away for every 3″ inch increment over 6′ 2.” So up until 6′ 5″ you are looking at 175 cadence. The next window is up to 6′ 8″ and you are closer to 170 cadence. Once you have your baseline and a good target, you can work to improve it. Most runners have a lower cadence than their target. So your cadence might be 165, but you want to get closer to 180. Don’t try to do it all at once. It will stress you out and frustrate you. If takes about 30 days to set a new habit in place. So know that if you can run with your target cadence for a month, you should be free of having to think about it while you run. Here are some incremental goals. Week One: Focus on your target cadence for the first 5 minutes of every run. Then just run. Week Two: Focus on your target cadence for the first 10 minutes, then just run. Week Three: Focus on your target cadence for the first 15 minutes. Do a cadence check every 15 minutes thereafter. So a 45-minute run would be 15 minutes at cadence with checks at the 30- and 45-minute marks. Week Four: Focus on your target cadence for the first 10 minutes, with cadence checks on a 10′-minute interval. Despite your best intentions, your cadence will drop when you run longer than an hour. It’s not your fault; it’s the combination of fatigue and your form breaking down. But as a marathoner, you have to fight the urge to settle when the going gets tough. Once you hit the hour mark, you should plan on checking your cadence every mile. Use the auto-lap beep on your watch as a cue to check in and see how you are doing. More advanced runners can insert time intervals at a different cadence late in key runs. For example, in a two hour run, the last thirty minutes could have 6 x 2 minutes @ 180 rpms with 3′ of normal pace running. So faster, better running by focusing on inputs (your cadence) vs outcomes (your pace). How have you managed your cadence? What’s your trick? Please share your feedback in the comments below! Looking for more information on running form? Check out this article on Three Ways to Improve Your Running.